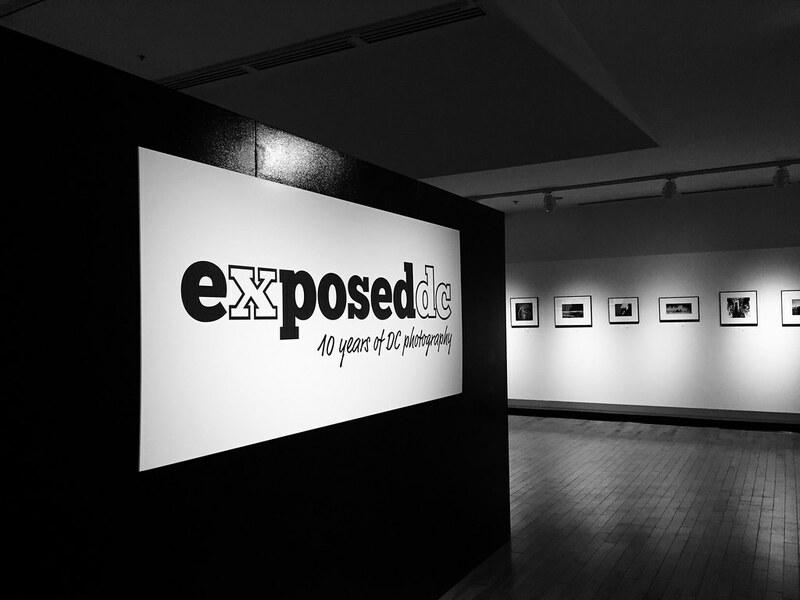 Congrats to Exposed DC, which recently marked ten years of celebrating photography in Washington, DC. 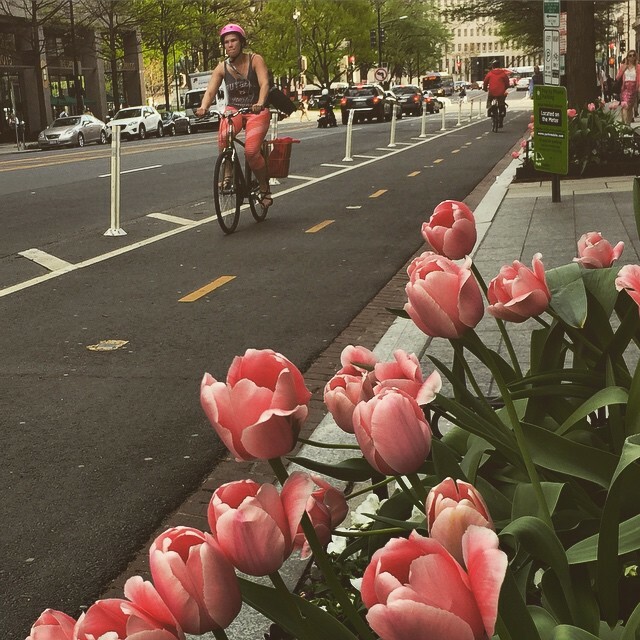 They do so with an annual photo contest that highlights a city that most tourists never get to see – the DC beyond the monuments. 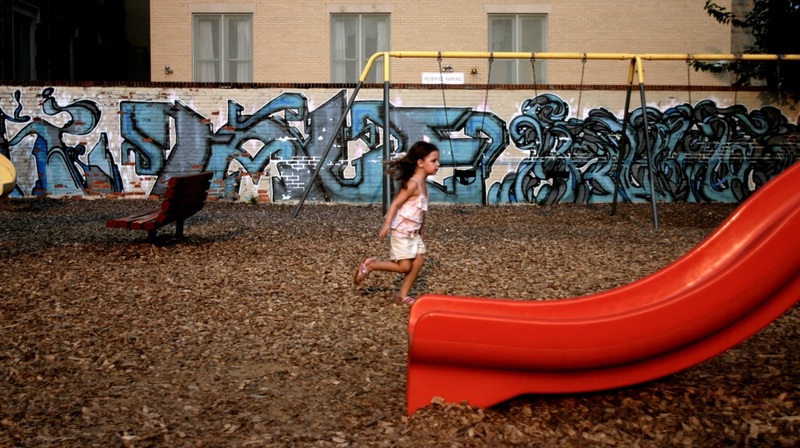 I was fortunate to be in the very first show back in 2006 with my photo “Rose Runs.” It’s the daughter of a friend of mine, captured as she was walking past a graffiti-covered wall in Stead Park near Dupont Circle. The park has since been cleaned up but I liked the contrast between the innocence of youth and the grit of the city. The advent of digital cameras had drawn me into photography. 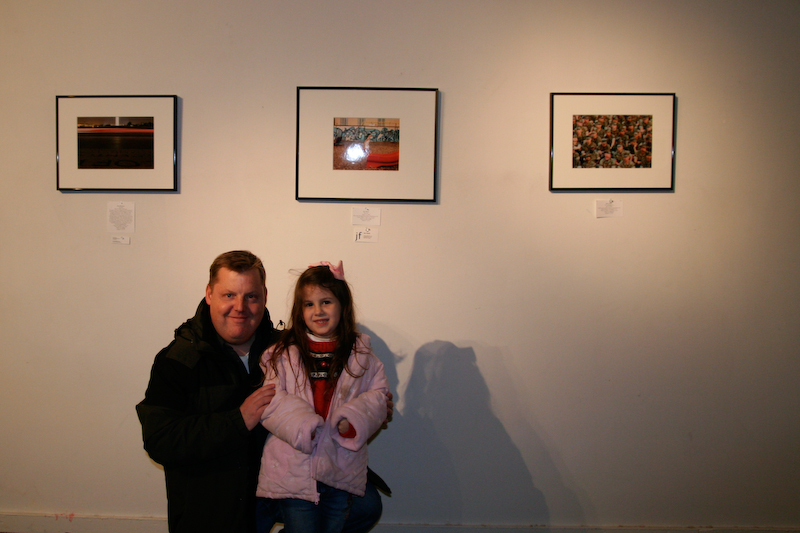 I took “Rose Runs” with a Canon Digital Rebel, the first of its kind, costing more than $1000. Little did I know how much photography would change in the coming years. 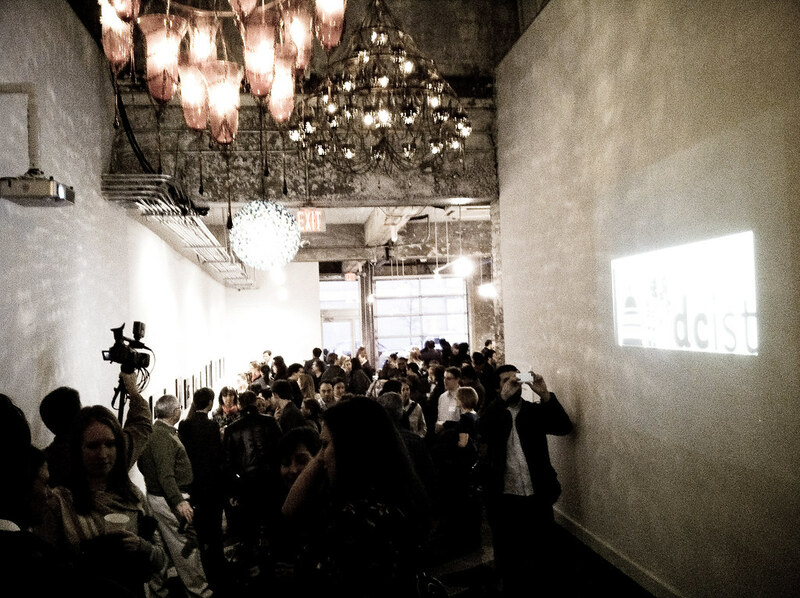 That first show was in a series of rooms above The Passenger, near the Convention Center. 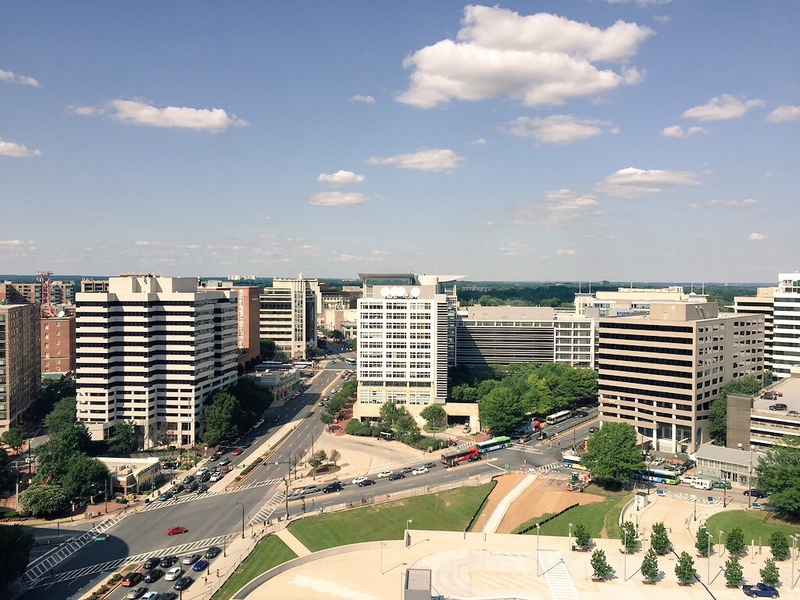 The whole building would eventually be redeveloped but, at the time, it lingered on as a bit of old, rough DC. 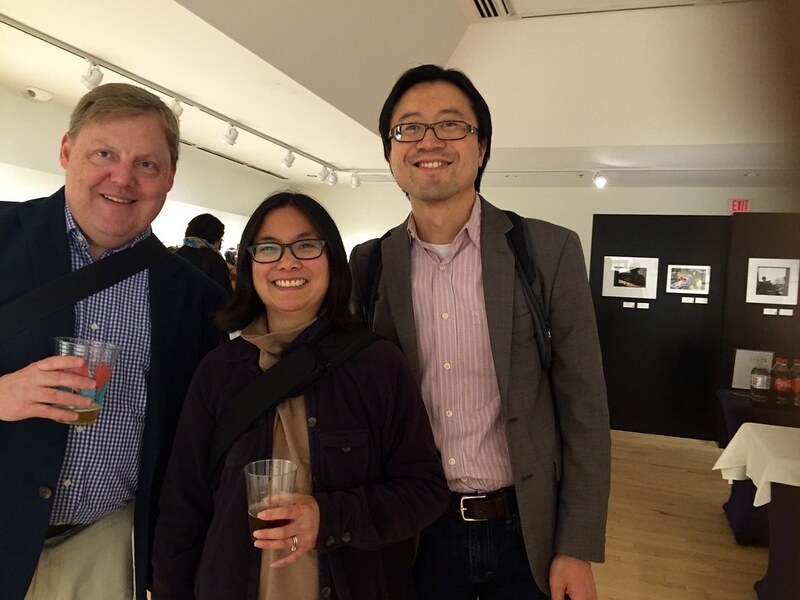 I missed opening night but came by later with some friends – including Rose herself! 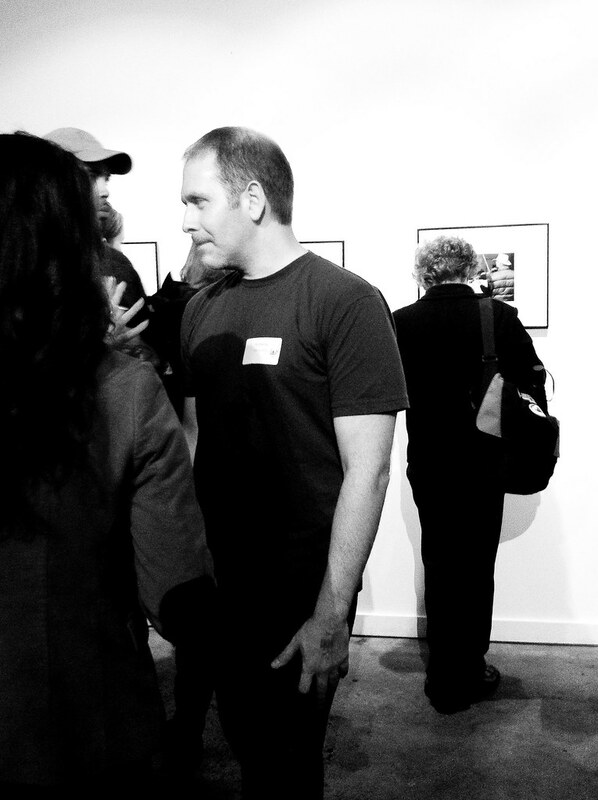 What was great about Exposed (then known as DCist Exposed, and tied to the DCist blog) is that it introduced me to a community of digital photogs like myself, including Samer Farha, Jim Darling, Heather Goss, Jen Wade, James Calder, Pablo Raw and other great folks. 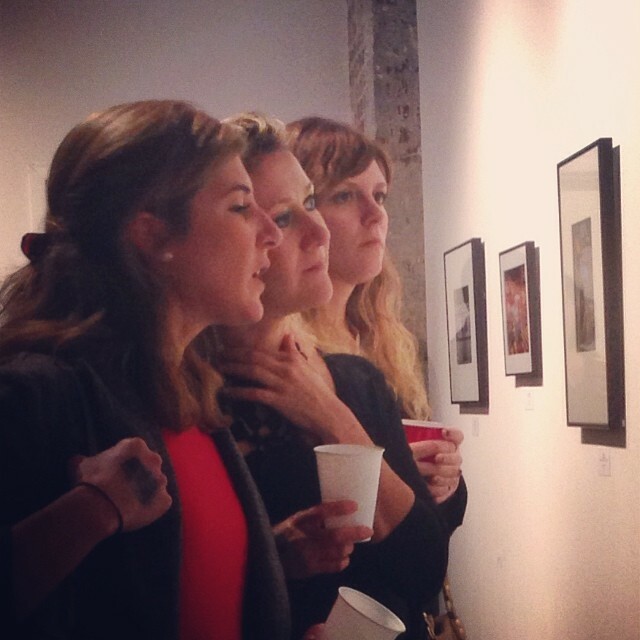 I never thought photography could be social – until Exposed. I love good beer. I love photography. I love meeting creative types. 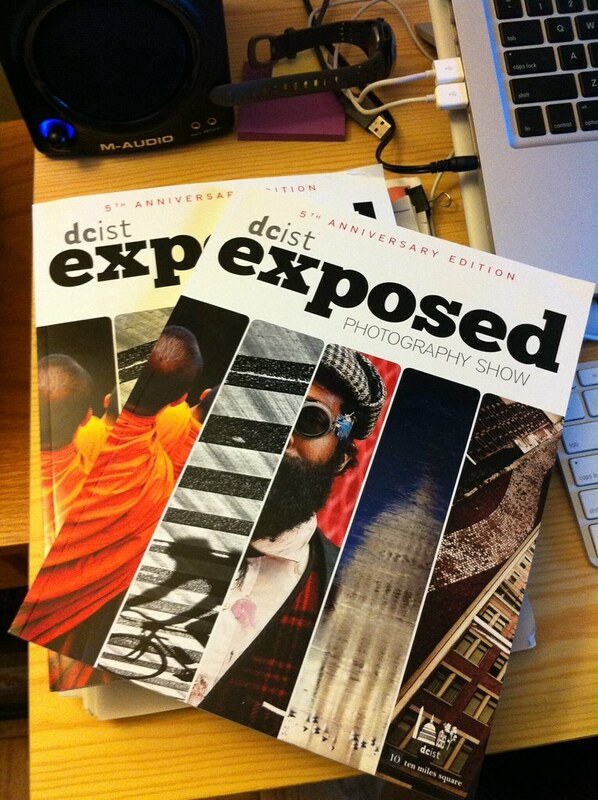 So every year, I went to Exposed, even if I wasn’t in the contest. 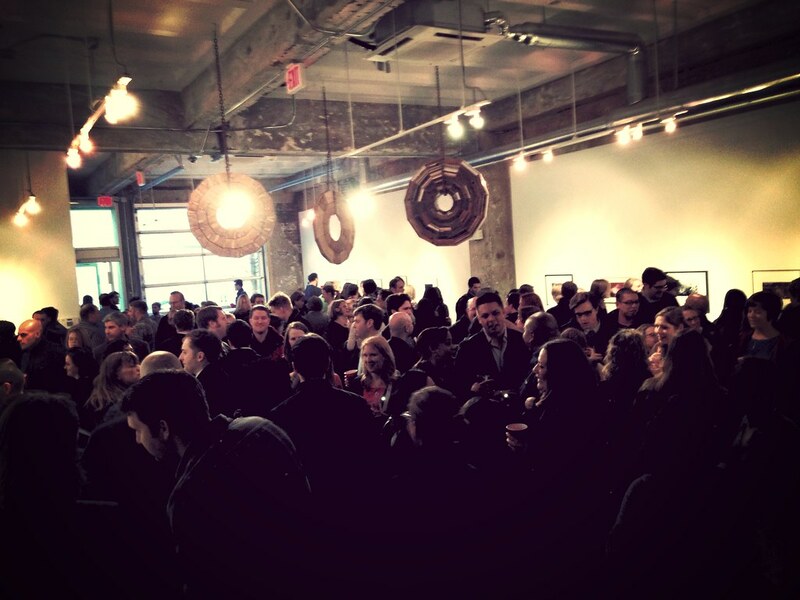 The show moved around the corner and for several years was at Long View Gallery, where it attracted crowds that snaked down the block. And I began taking iPhone photos, with my iPhone 4. 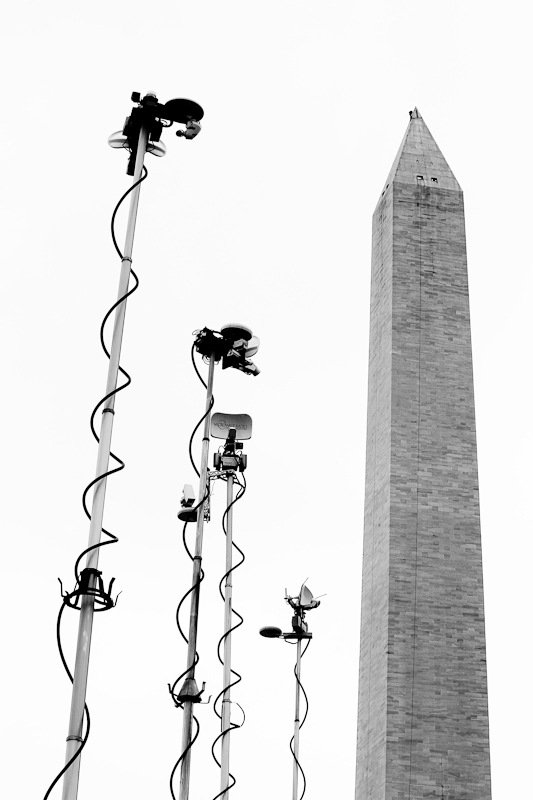 In 2012, my photo of the Washington Monument being inspected for earthquake damage made the show. I had moved up to a Canon Rebel T2i, a faster and more capable camera than the original Rebel. I had developed a fondness for black and white. And perhaps a tendency to get carried away with filters in Snapseed. For my interest in DSLRs was being overtaken by mobile photography, like most people. The iPhone had made photography easy, fast and social. 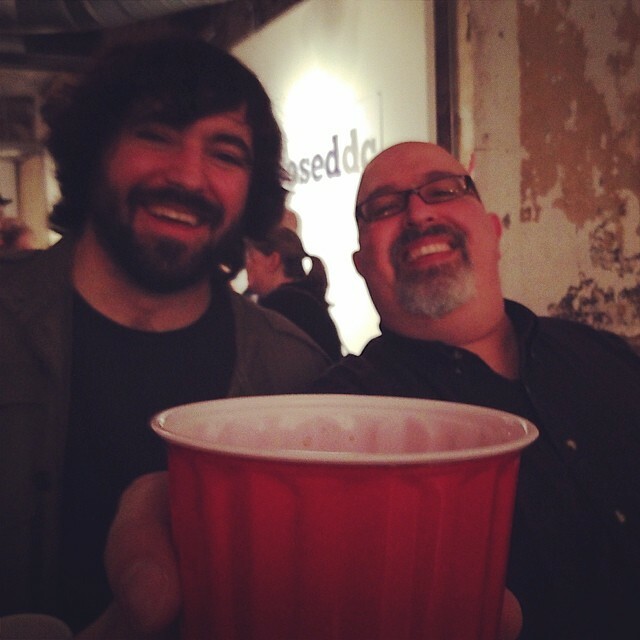 Also, I won the Fotoweek Mobile Photography Competition in 2011, which opened my eyes to the value of iPhoneography. 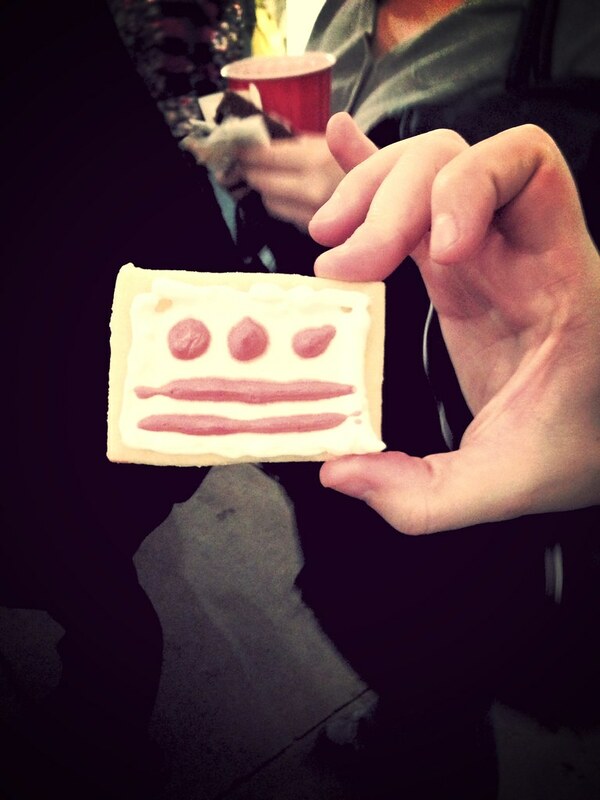 The Exposed parties continued, drawing a huge crowd with delicious beers and treats in 2013, including DC-themed cookies. 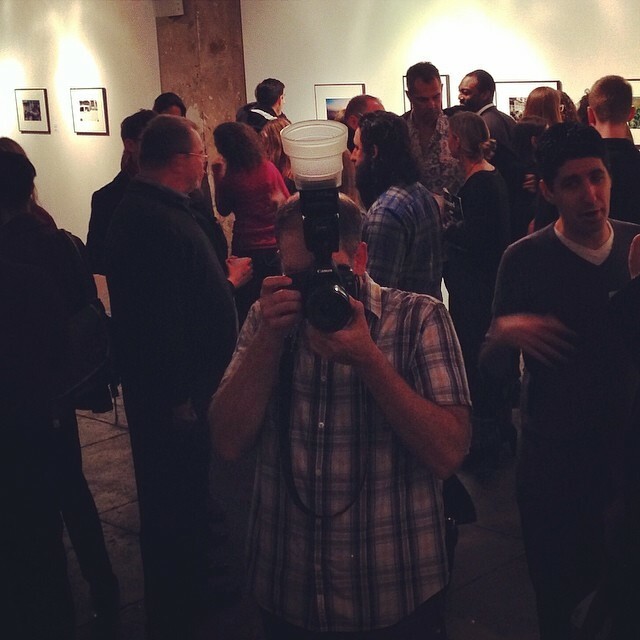 Exposed became a wonderful blur of drinking and talking photography. 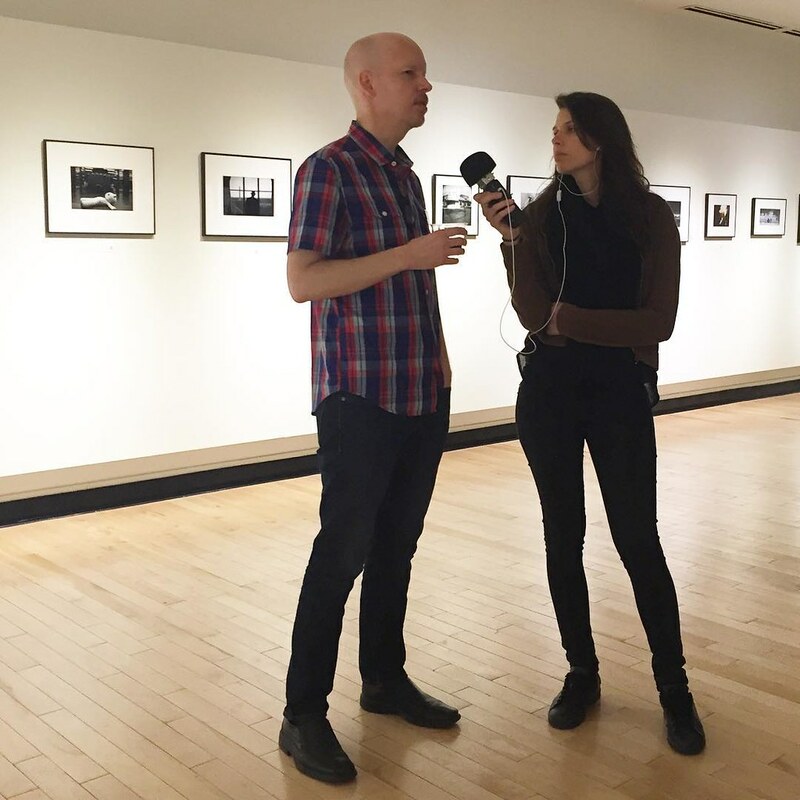 In 2016, Exposed was at the historic Carnegie Library in DC, one of my favorite buildings in the city. 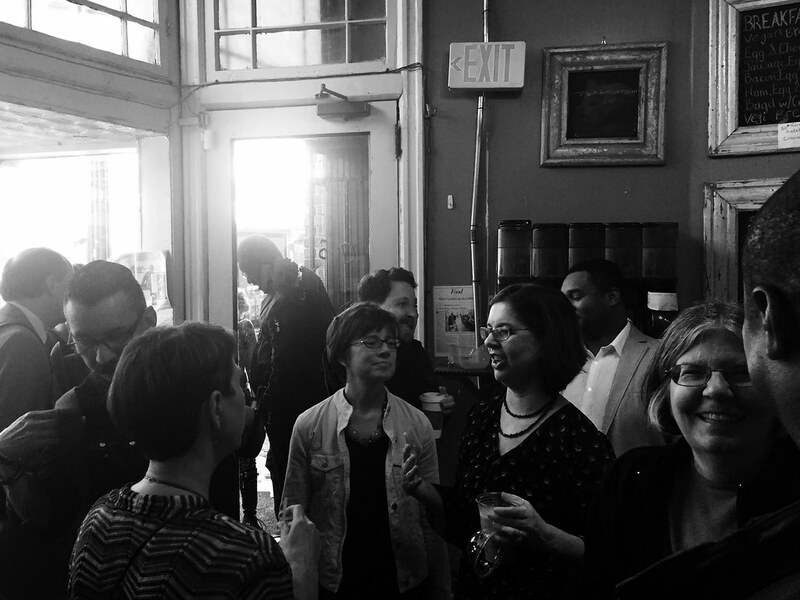 I was glad to know so many people in the show, including Angela Napili, Holly Garner, Keith Lane, Noe Todorovich, Bridget Murray Law and Victoria Pickering. I didn’t even bring my Canon Rebel but instead just pocketed my iPhone 6 – it’s good enough. The triumph of mobile photography is almost complete. 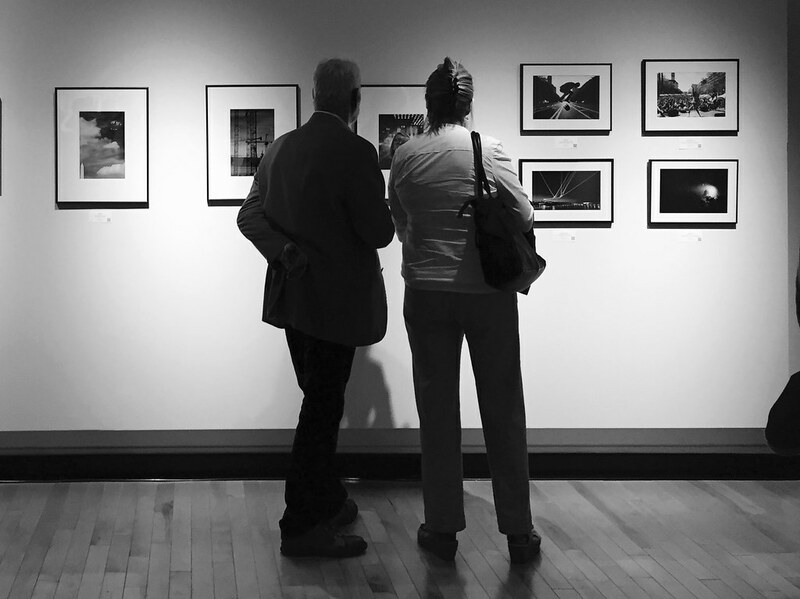 Exposed DC has demonstrated that Washington is more than just monuments, revealing the real place beyond the iconic landmarks, as well as building a community of photographers. 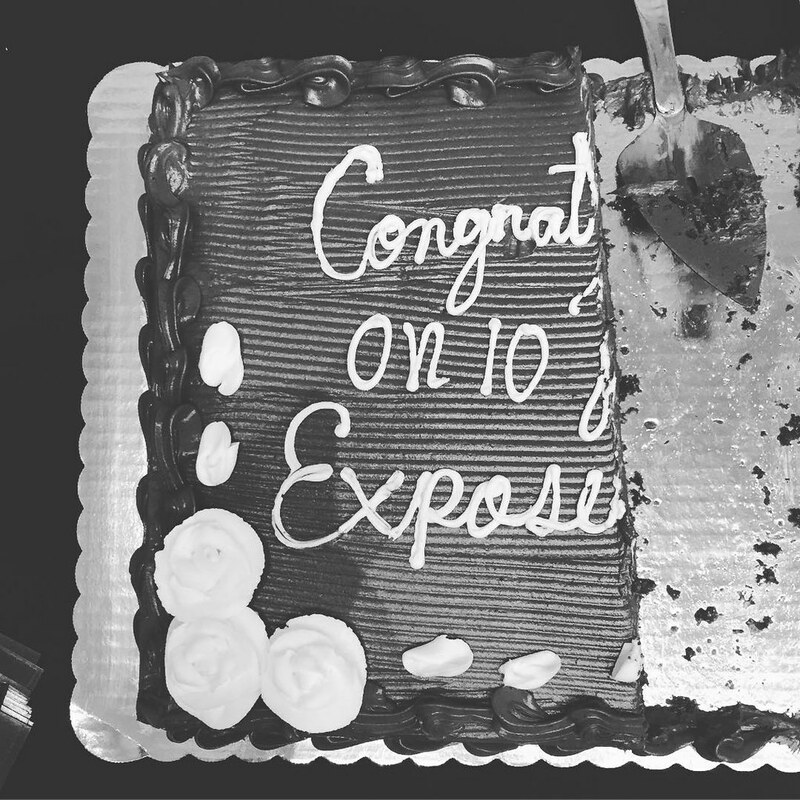 So, here’s to ten years of Exposed – and ten years more! The pink petals of Japanese trees bring a mania to this city. It’s called Cherry Blossom Madness. 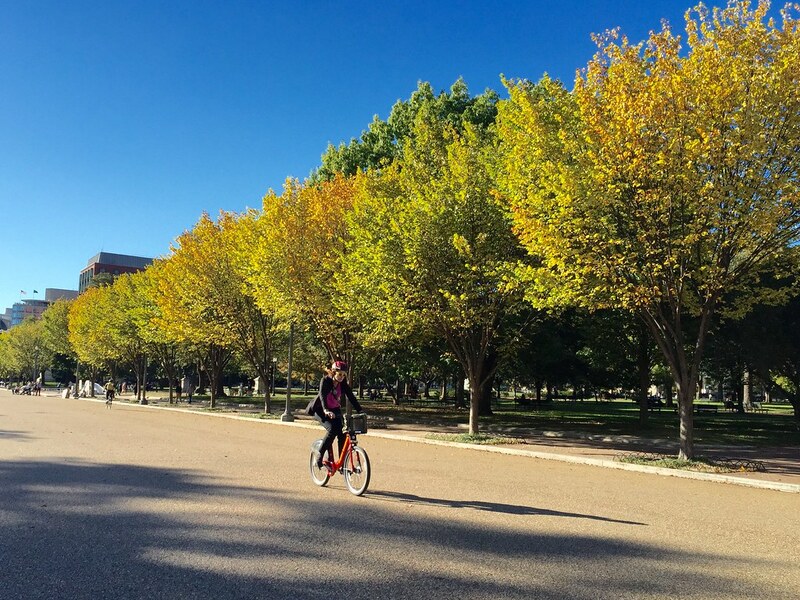 It leads you to do totally insane things, like run down to the Tidal Basin at dawn to get a glimpse of these trees in the warm morning light. And I am not a morning person at all. Yet, I left my apartment and ran through the purple pre-dawn light to the Mall. As I reached the Lincoln Memorial, the eastern sky exploded in red, bathing the city in a scarlet glow. I haven’t seen a day that beautiful since the blizzard. The range of red and pink tones in the sky was jaw-dropping, proof that nature can come up with a better palette than any artist. 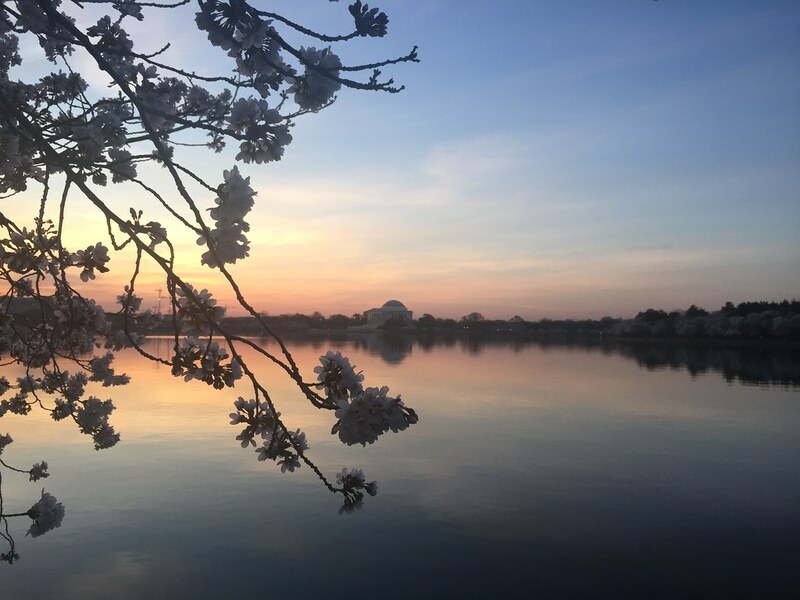 There were already crowds at the Tidal Basin, every photographer hoping for the perfect picture of the Jefferson Memorial, cherry blossoms and dawn. I snapped a few photos with my iPhone 6. I think there was some futz on the lens because they look a little blurry, like a Monet painting. The only editing I did was in the Photos app and that was pretty minor. Then, after about five minutes, I headed home, leaving this transcendent scene for the mundane world of work. 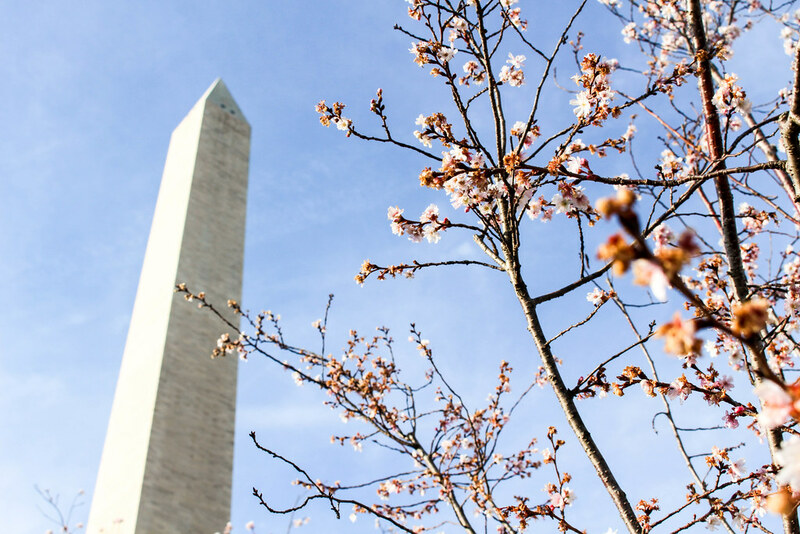 Here’s to next year and another round of Cherry Blossom Madness. 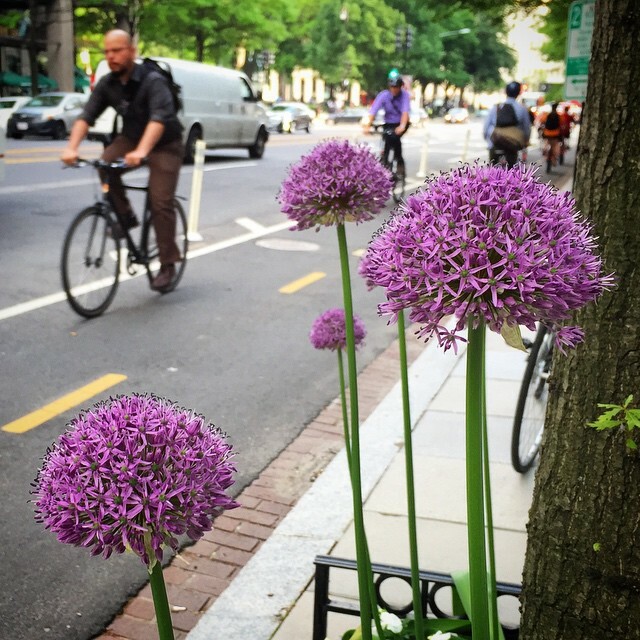 I’ve lived in DC for more than twenty years but until around 2008, I only had vague idea of what H St NE looked like. I knew it primarily as the “bad part” of Capitol Hill, a blighted corridor of check-cashing joints and wig stores. There was no reason to go there (unless you were looking for crack) so I never went. The first time I visited H St was for a show at the Rock n’ Roll Hotel at 13th and H NE. The cabbie asked me skeptically, “Where are we going?” I told him that there was supposed to be a club on H as we passed block after block of boarded-up buildings. Things look considerably different today. 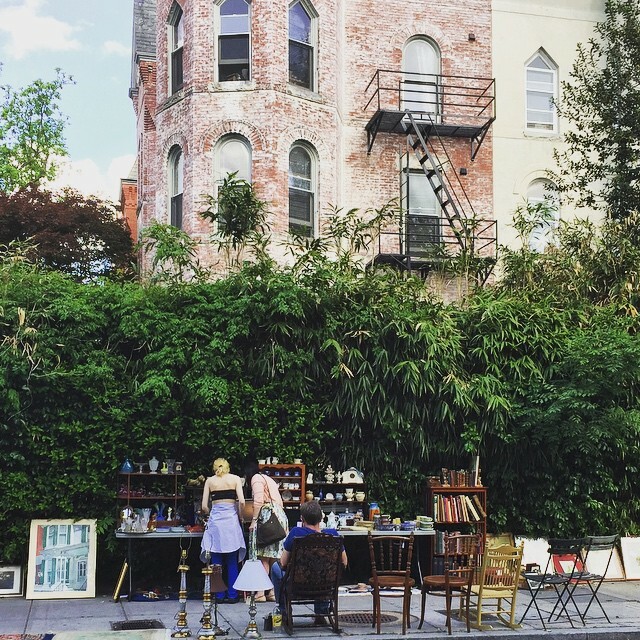 H St is now the hottest neighborhood in the city, sprouting apartments and condos while suburban kids flock to the street’s nightclubs and bars. Why there’s even a streetcar running down the street. 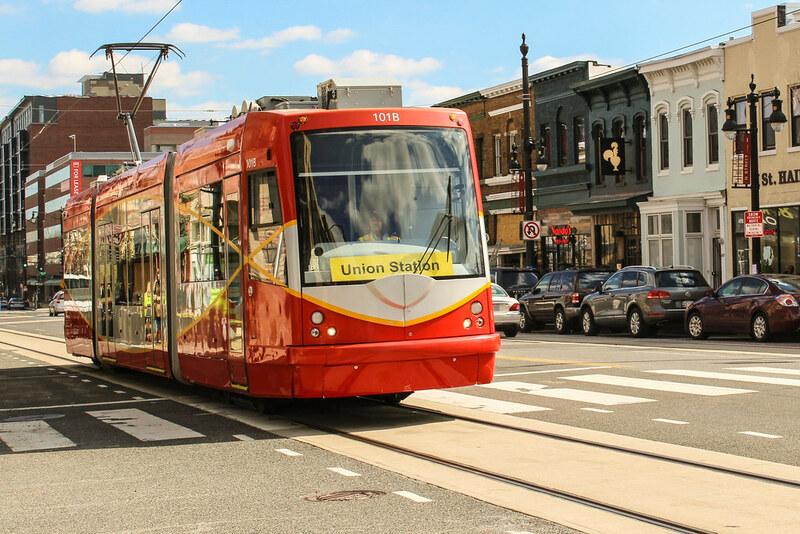 While it’s more of a curiosity than working transportation, the promise of the streetcar helped fuel redevelopment, signaling that H St was safe to visit. 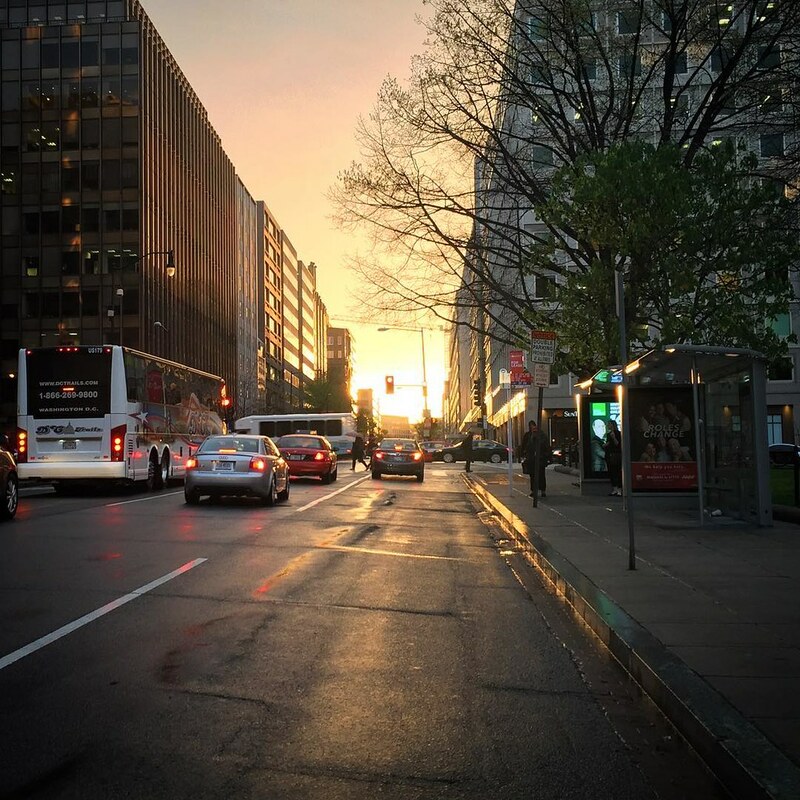 Gritty DC, as represented by streets like H, is rapidly disappearing. There’s very little of that city left anymore. It’s better, of course, but I do miss the run-down charm of the place some times. 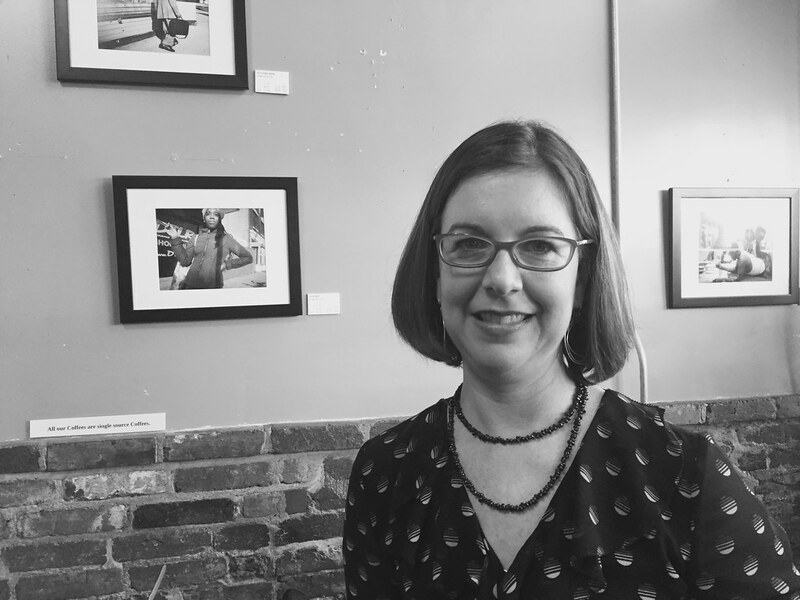 Bridget Murray Law captures the changing city in H STREET LIFE, an exhibit of her photography at Sidamo. 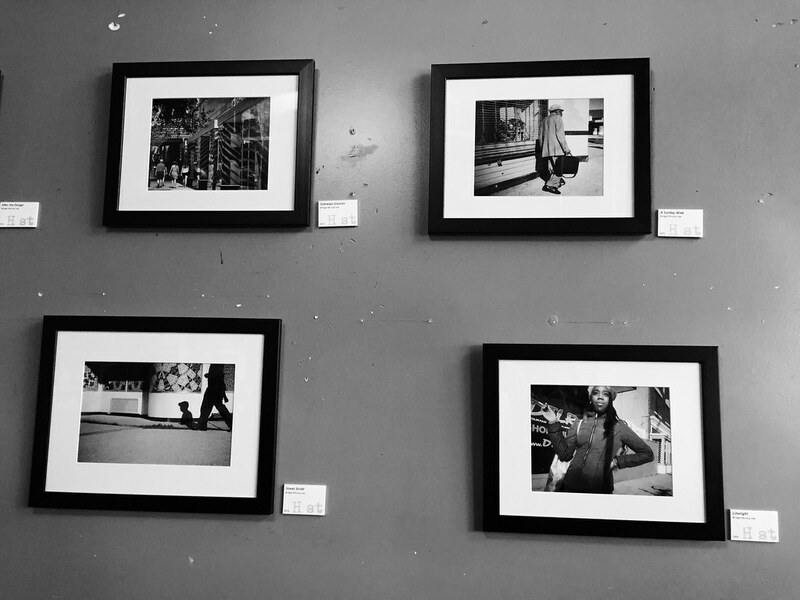 If you like black and white street photography go check it out. I’ve been a fan of Bridget for years. 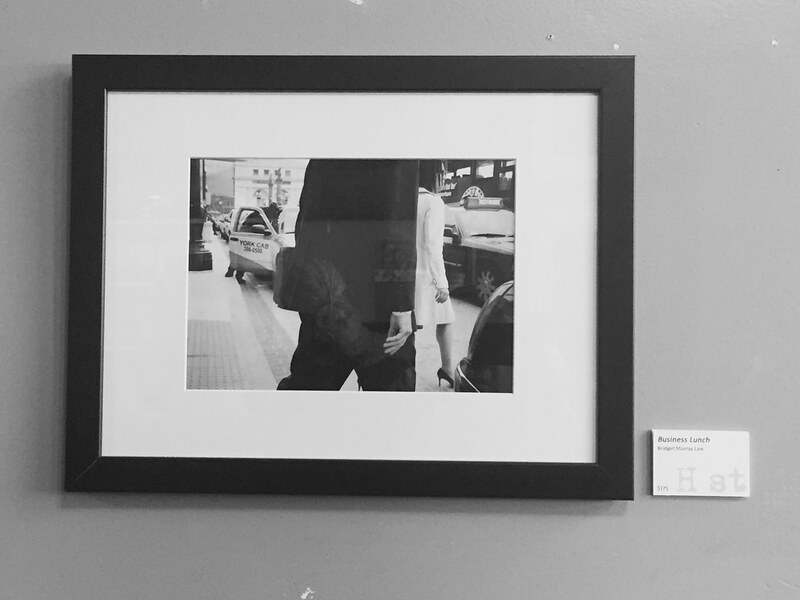 She has a romantic vision of the city, capturing the quiet moments that happen between people in this busy metropolis. 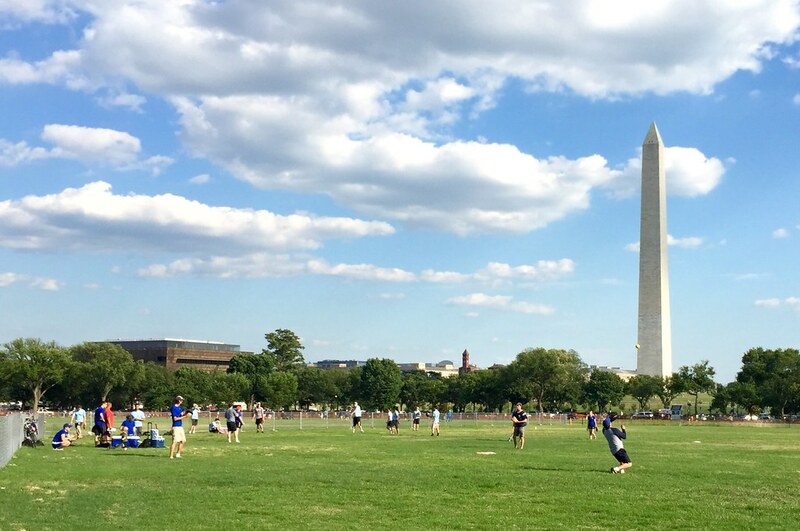 It’s not a side of Washington that you see much. Romance is not something you think of when you think of DC. Aren’t they too busy for that? 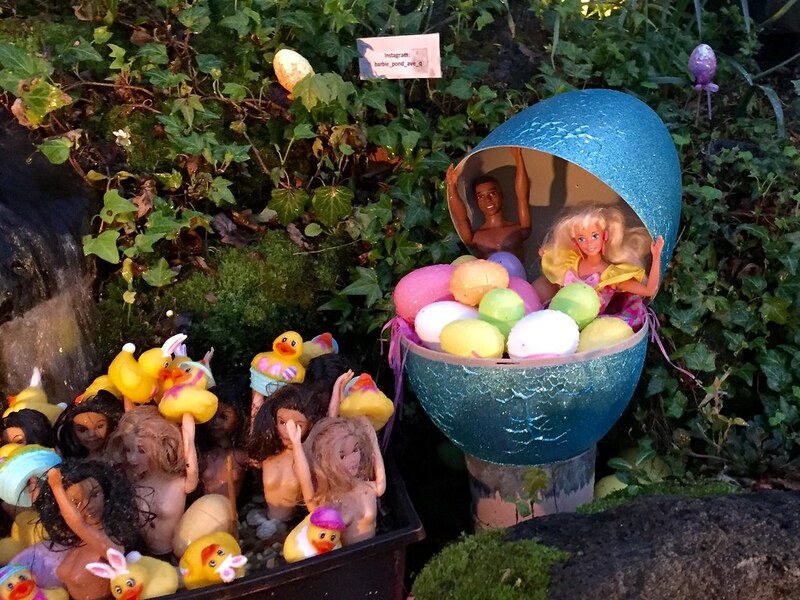 Bridget demonstrates that even Washingtonians have time for love. 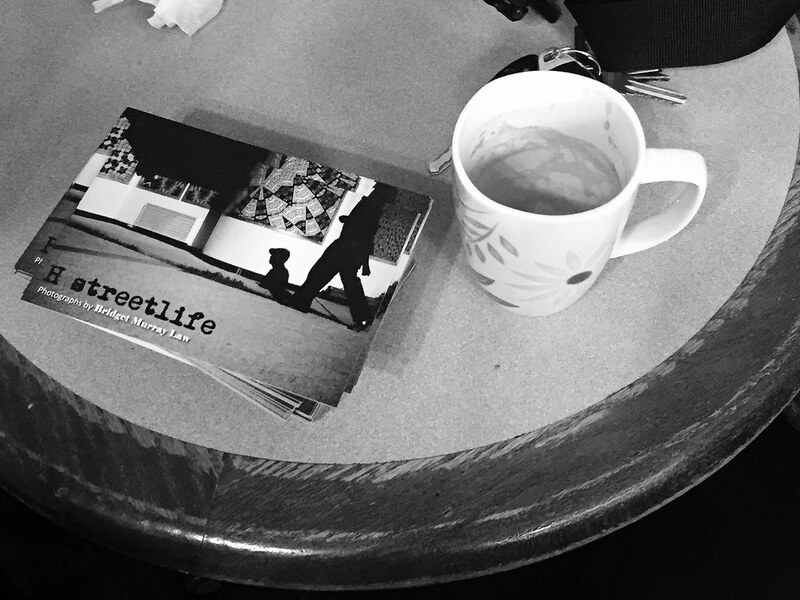 I was glad to attend the H STREET LIFE opening on March 18 at Sidamo Coffee. 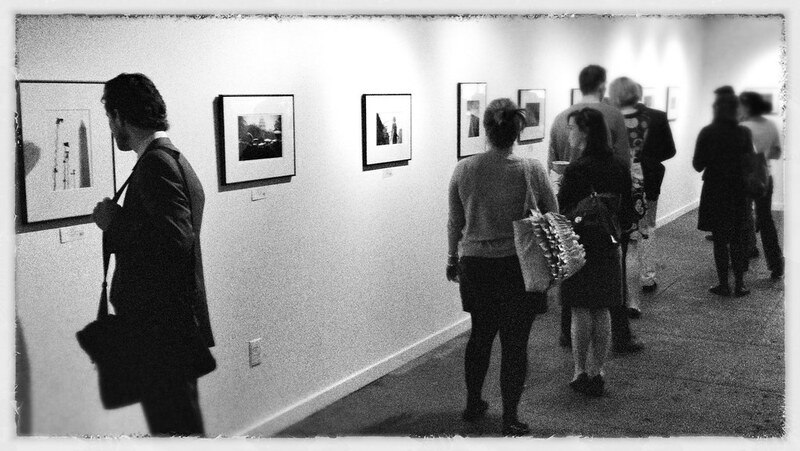 Below are photos from the event – in black and white, of course. 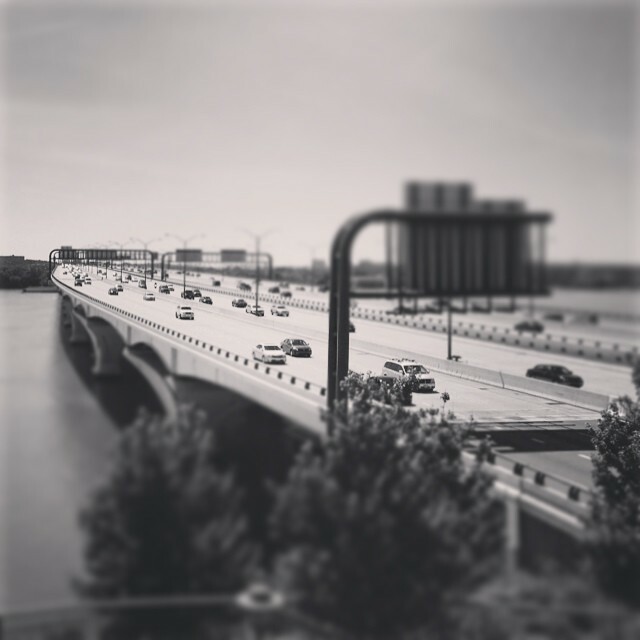 Wilson Bridge in black and white. 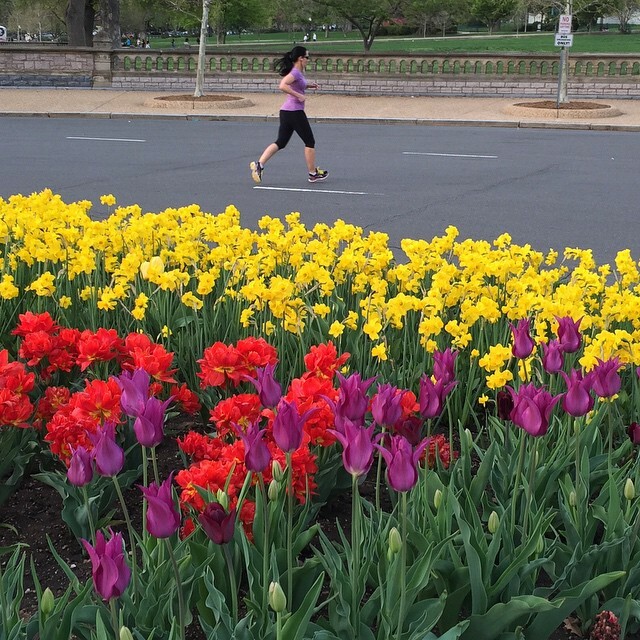 This photo was in the Capital Weather Gang recently. It is an iPhone 6 shot, edited in the Photos app on the iPhone and with the Noir filter applied. Thinking of submitting it to the Capital Weather Gang, I used the Noir filter because I didn’t want the sky blown out. 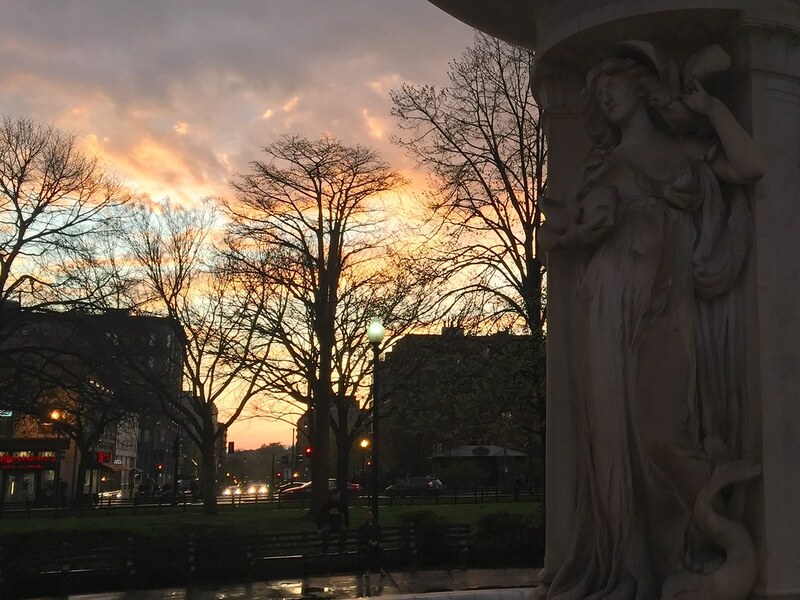 I wanted to keep those wispy clouds – CWG is a weather blog, after all. 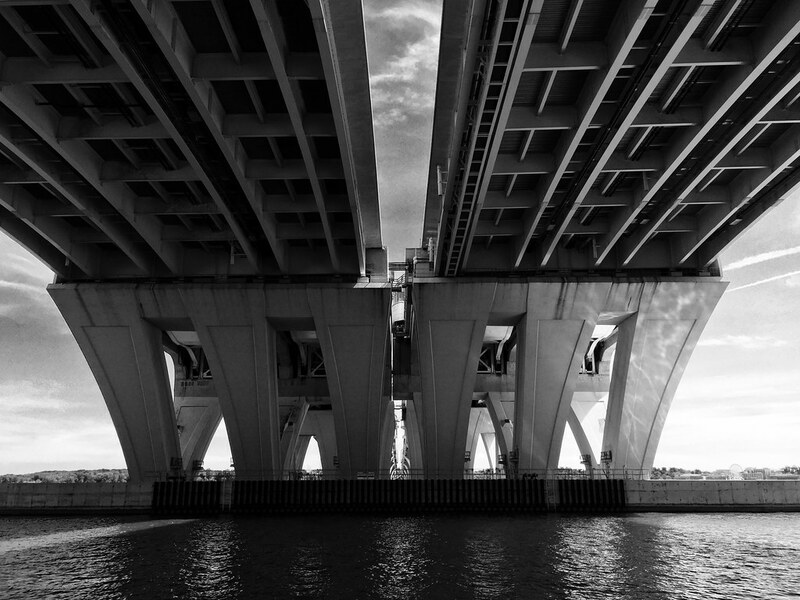 I don’t take a lot of black and white but I think it works really well on architecture because it allows you to focus on the clean lines of the Wilson Bridge. It’s like an entire city’s worth of concrete in this structure stretching over the Potomac. 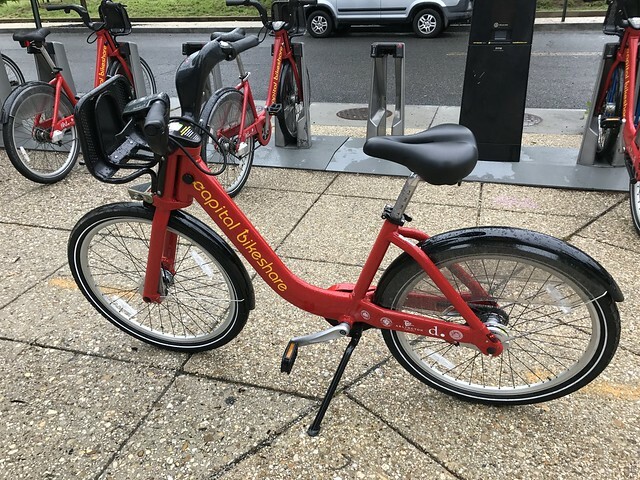 And it seems indestructible, unlike other pieces of transportation infrastructure (I’m looking at you, Silver Spring Transit Center). Maybe we still can build great things. 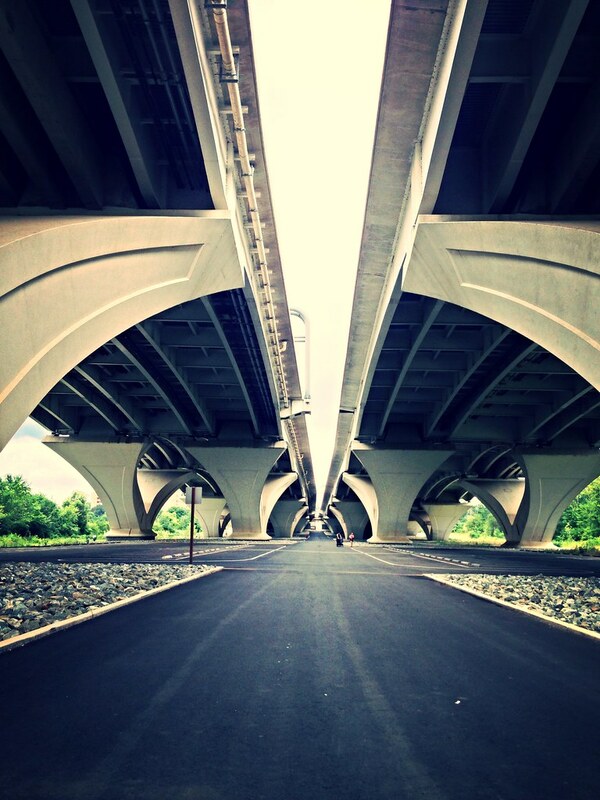 Mount Vernon Trail as it runs under the Wilson Bridge. 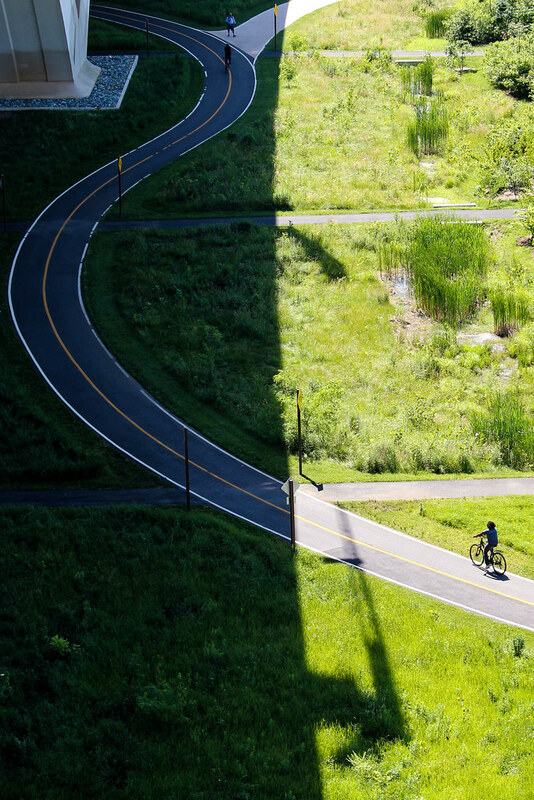 Cyclist rides toward the bridge. 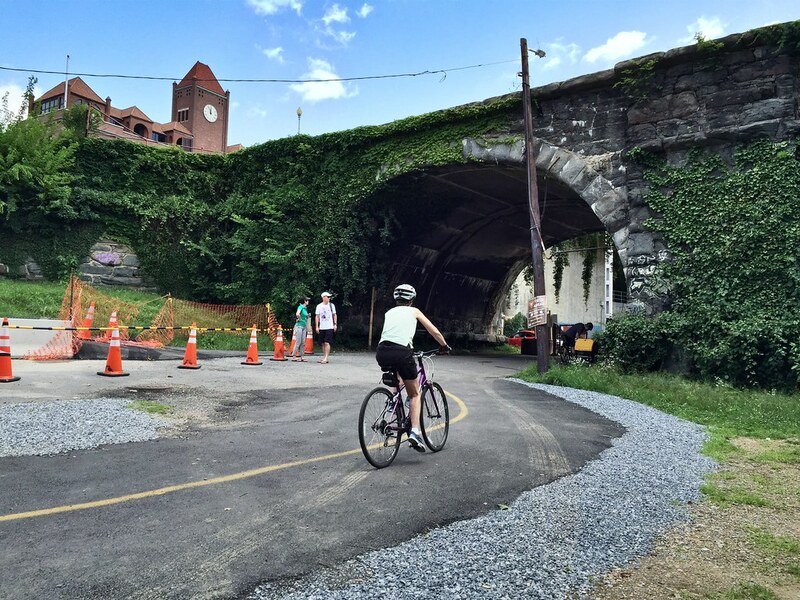 It’s also a great place to stop if you’re biking along the Mount Vernon Trail. Under the bridge, it’s shady and cool and there are bathrooms and water fountains. 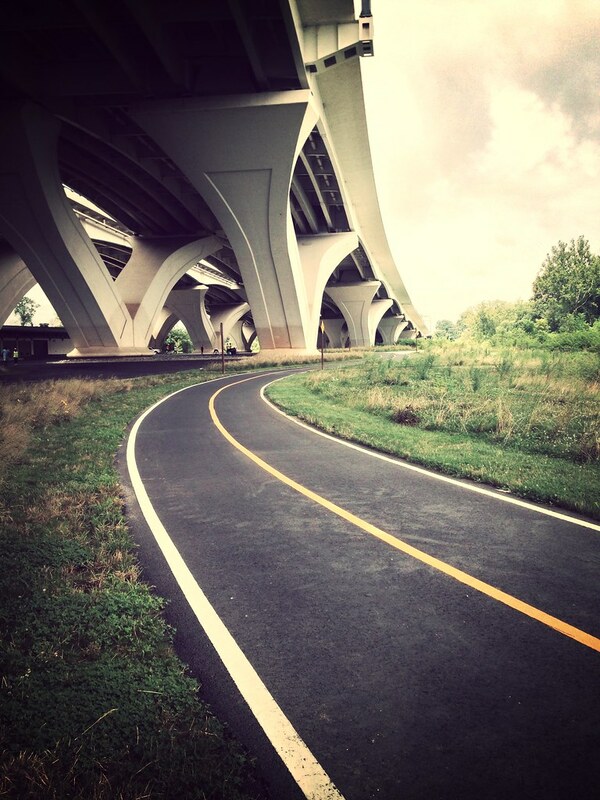 From here, you can continue on to Mount Vernon or cross the bridge to National Harbor. National Harbor is kind of mediocre – it’s just a bunch of shops tucked into a swampy cove along the river. 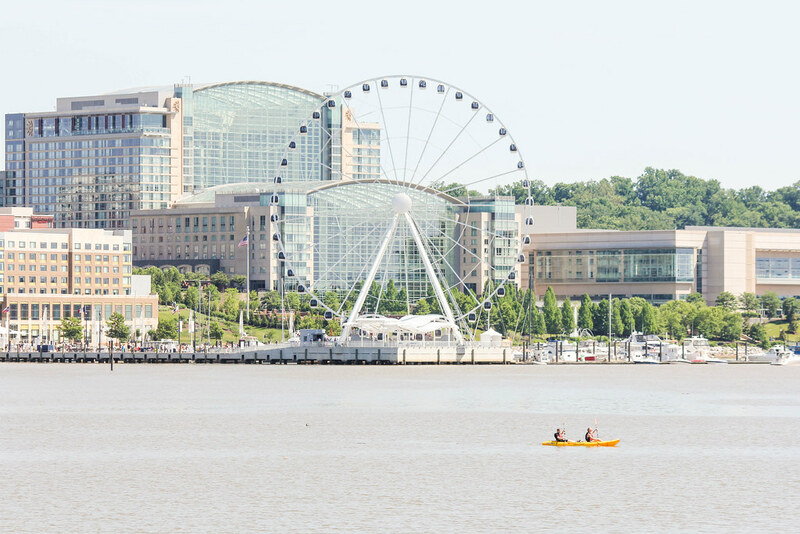 The best view of National Harbor is from afar. But, if you bike over the bridge, you get a great view looking upriver toward Alexandria and DC. 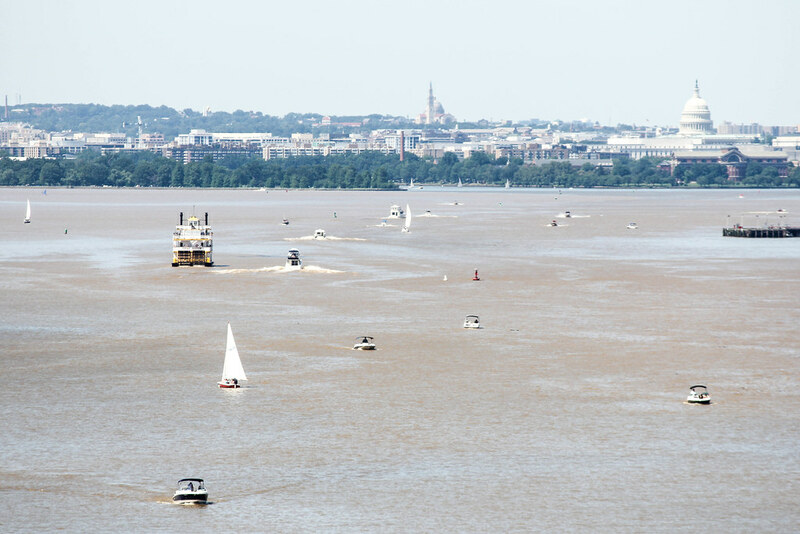 A muddy Potomac filled with boats, with the Capitol Dome in the distance. I used my “real” camera, a Canon Rebel and zoom lens here. 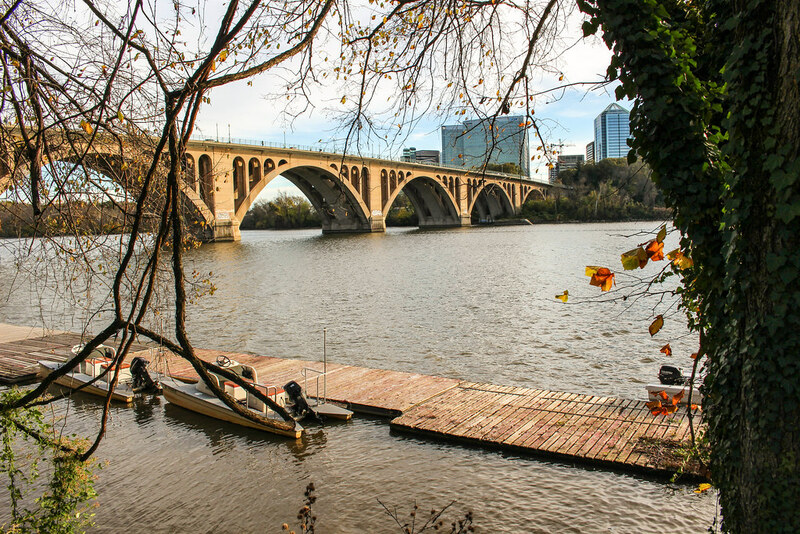 View of the Wilson Bridge from the Maryland side. I look for symmetry in photos. The long horizontal and vertical lines of the bridge are irresistible to me, especially how they end in a “vanishing point” where they seem to converge. These long lines really draw you into the photo. Which is why the Wilson Bridge is one of my photo obsessions. Lines extending into the vanishing point under the Wilson Bridge. It’s not often we get such lovely, cool days in July! I liked the clouds and the softball players in the foreground so I took this iPhone photo as I was running/walking around the Ellipse. I enhanced it a little bit using the Photos app and cropped it to zoom in on the players. I also put the monument off-center to make it more visually interesting. 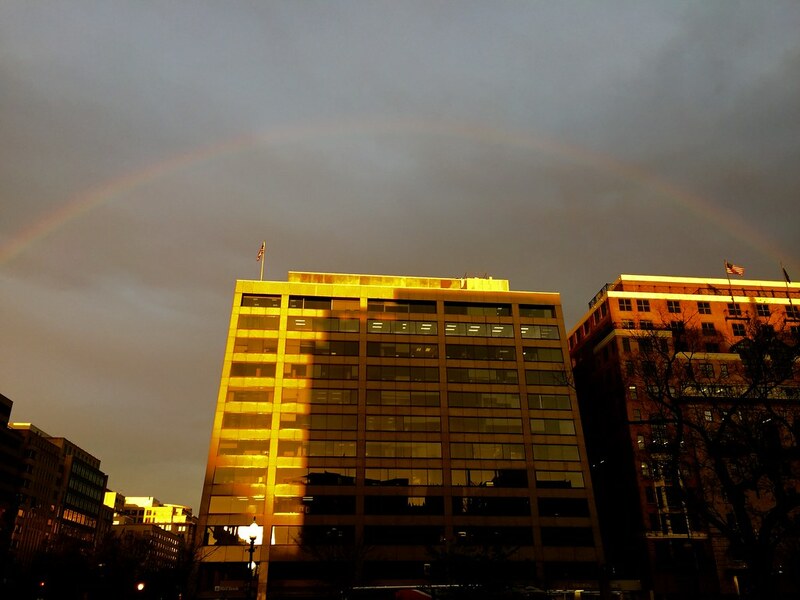 The Washington Post’s Capital Weather Gang used this photo for their PM update. Here’s to more great days like this one! After upgrading from an iPhone 5 to an iPhone 6, I was shocked at what good photos it could produce. 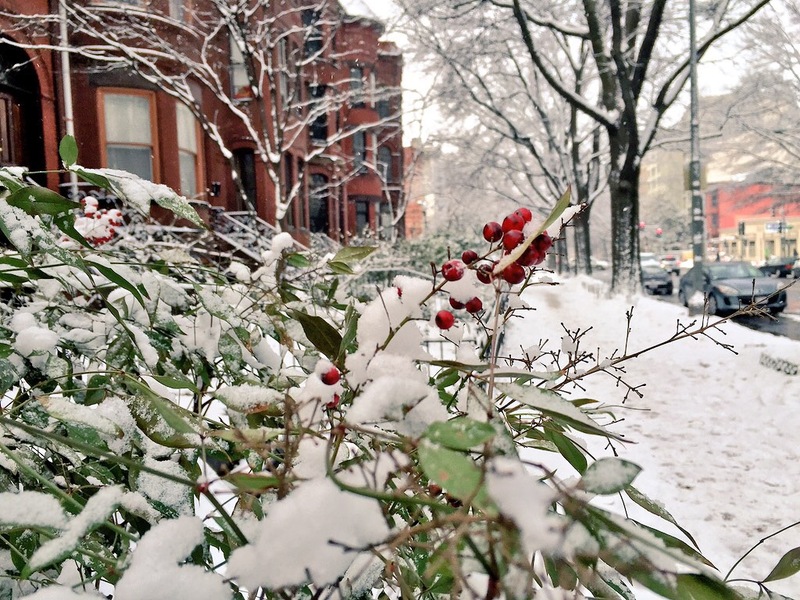 I took some snow photos when I first got it and had a hard time distinguishing them from what I shot with a DSLR. They were so sharp and so clear to be uncanny. The Shot on an iPhone campaign is true. It’s an amazing camera. With the iPhone 5, I didn’t shoot much video. One reason was lack of space – I had the 16GB model. When I got the iPhone 6, I opted for the 64GB model so that would no longer be a problem. And I started shooting video. Apple has made it effortlessly easy, as I discovered shooting this cherry blossom clip. The camera compensates for everything – exposure, hand-shake, moving – to produce sharp and beautiful video. 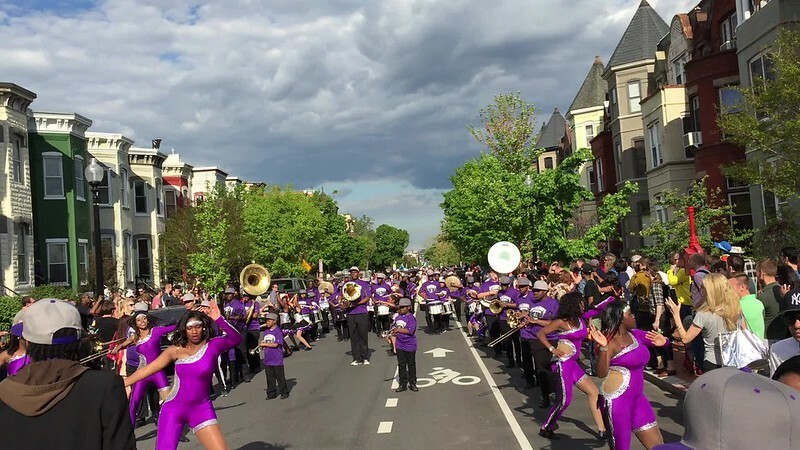 For example, check this clip out of the Royal Knights at the DC Funk Parade. I’m hand-holding it, backing up as the band goes by. It’s amazing to me that everything (even the sky) is properly exposed and that the image stabilization works so well. You’d think I was using a dolly, rather than just holding it steadily in two hands. Look at it in HD and full-screen to appreciate it. The iPhone is the most popular camera in the world because it made digital photography easy and accessible. The iPhone 6 will do the same thing for video. 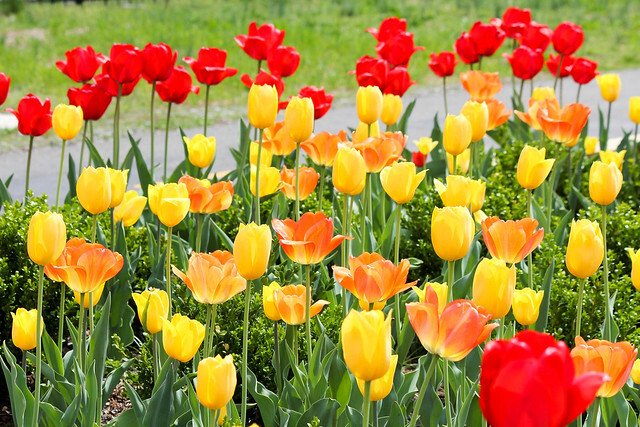 Tulip mania was the original economic bubble. Long before the dotcom bust and the housing crash, 17th Century Europeans speculated in tulip bulbs. 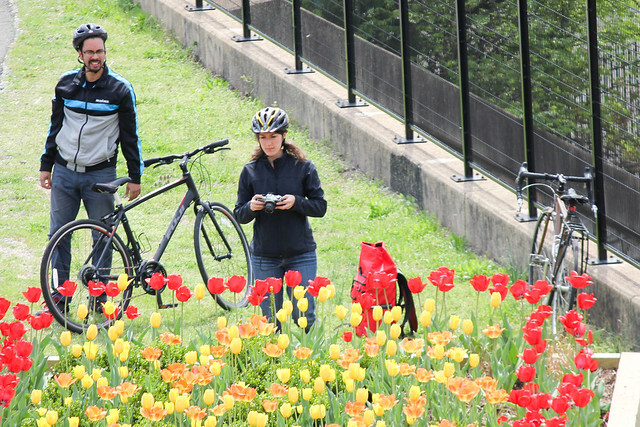 You read that right – tulip bulbs. 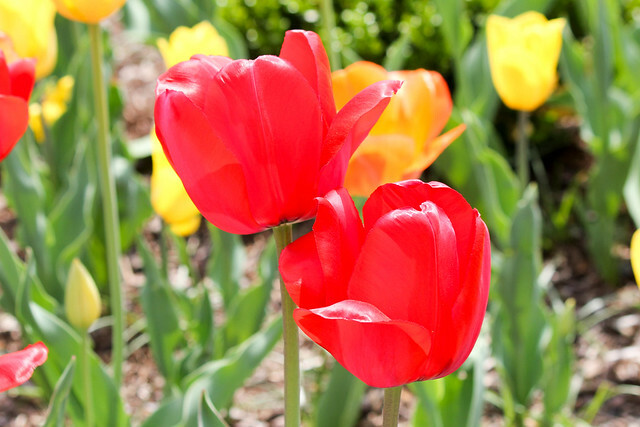 Introduced to the continent by the Ottomans, tulips became a status symbol commanding top prices at a time when Holland was developing into an economic giant. 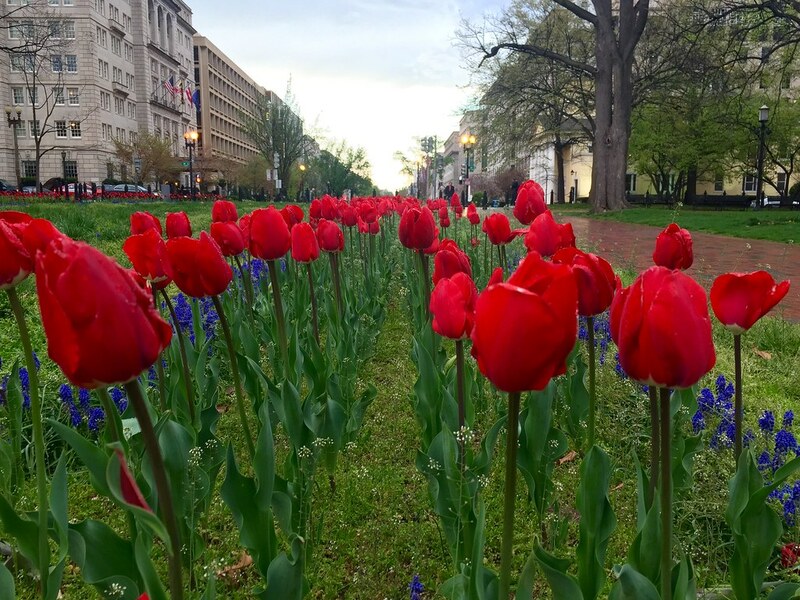 Tulip bulbs became a sort of substitute currency and were widely speculated upon – after all, we’ll always need tulips, right? 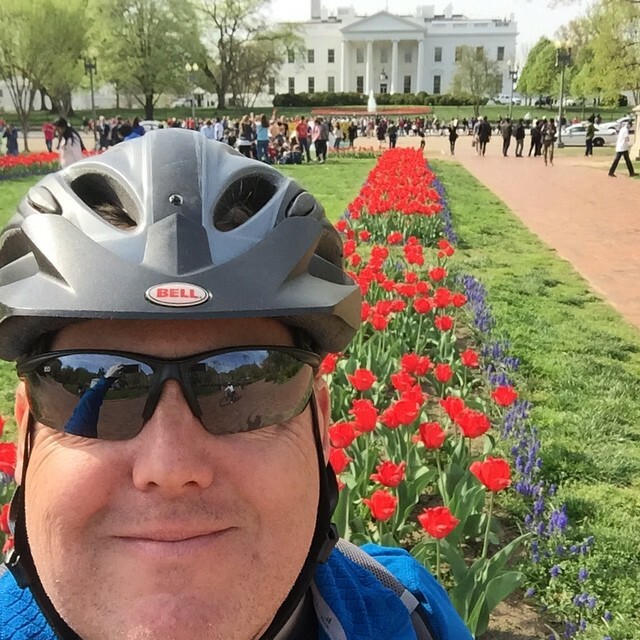 You could trade a tulip bulb for a ton of butter! 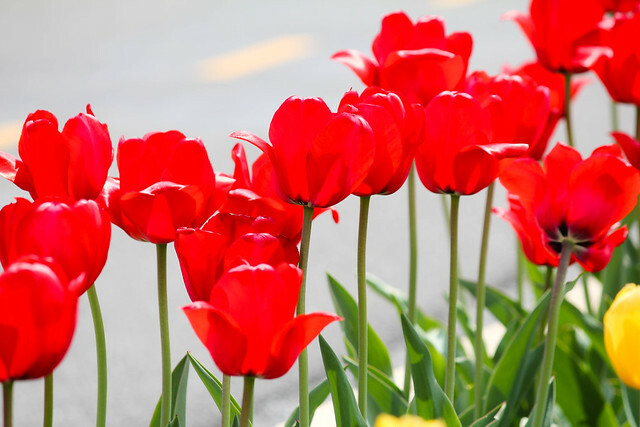 Men even speculated in tulip futures and other derivative products. Everyone was getting rich. 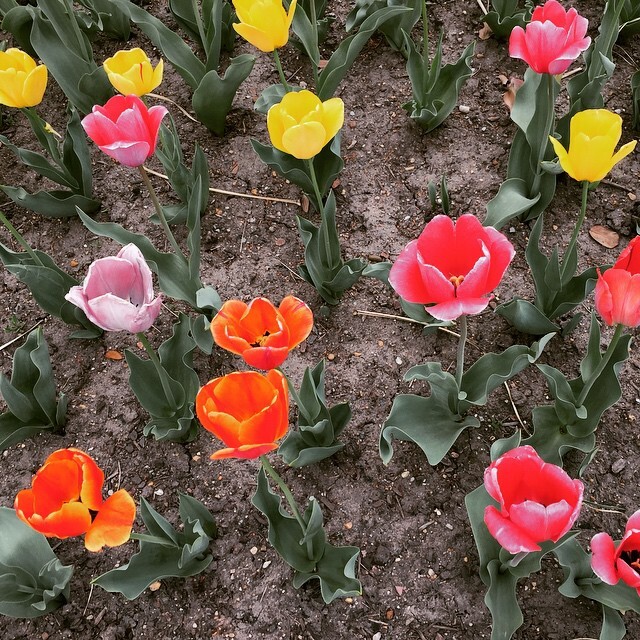 But like shady Internet companies and Arizona condos, the market eventually crashed, as recounted in this excellent Wikipedia entry on tulip mania. All that was left were the tulips themselves. 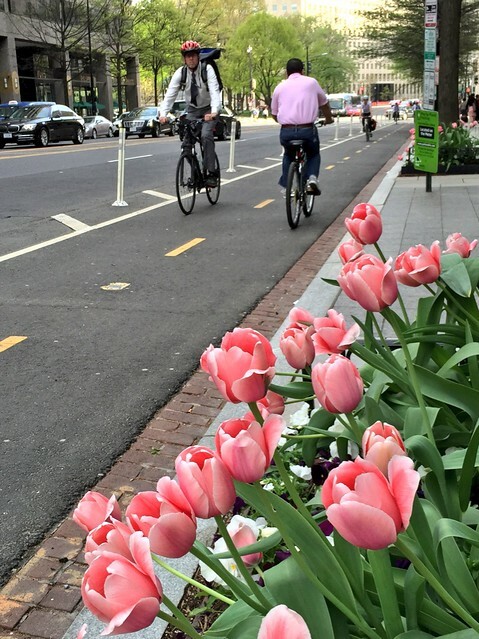 Fortunately, they are beautiful and bloom on the streets of DC every April. 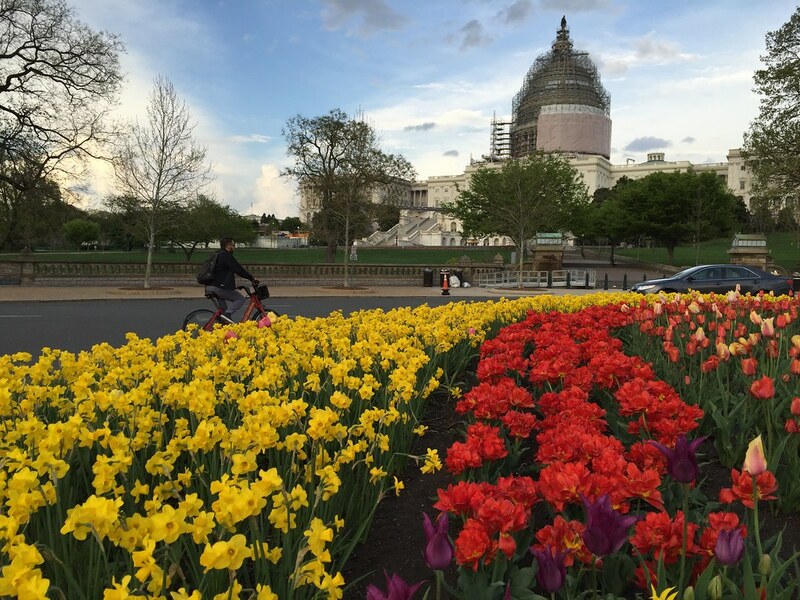 Seeing them, it’s hard not to get a touch of tulip mania. Good thing that tulip futures aren’t listed on the NYSE – otherwise, I’d be buying. 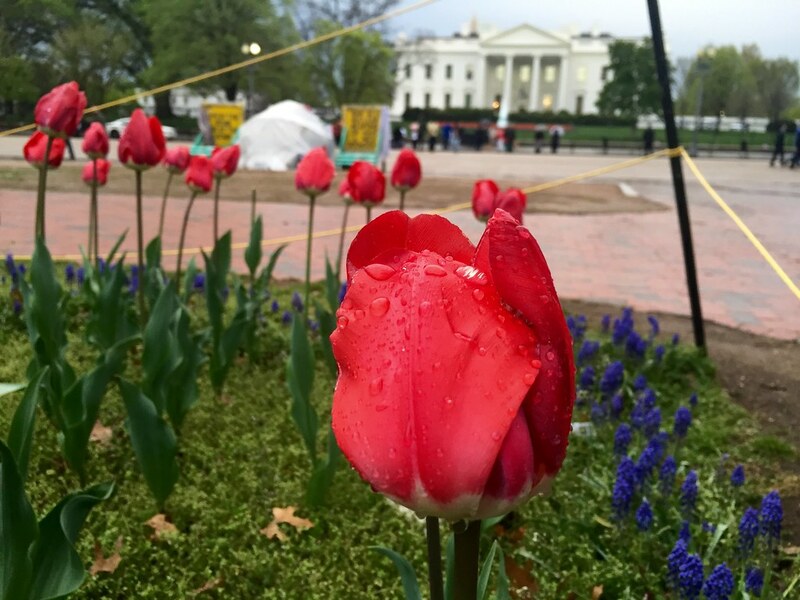 Here are some colorful photos of tulips around Washington. 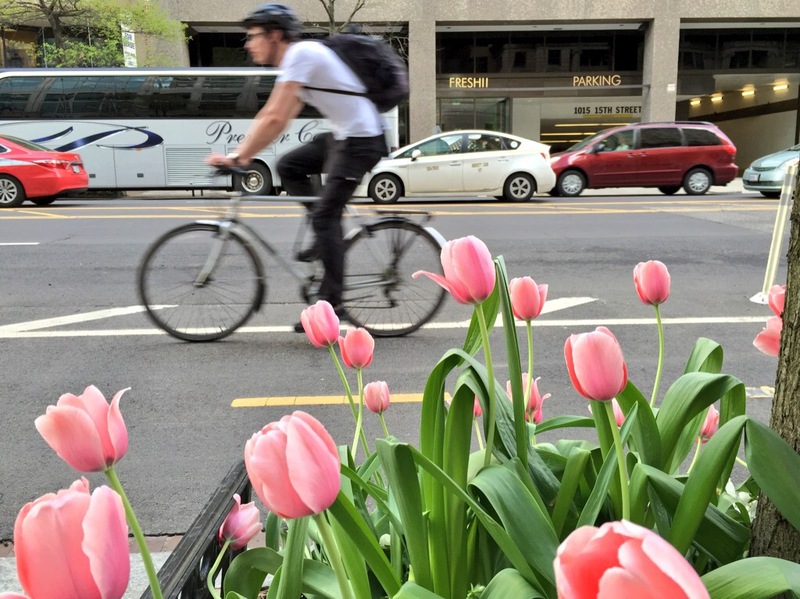 Biking past tulips at 15th and K.
The man in the tie wonders what the hell am I doing. I’m taking tulip pictures! 15th St has a protected bike lane running in both directions. The weather has been beautiful for running. 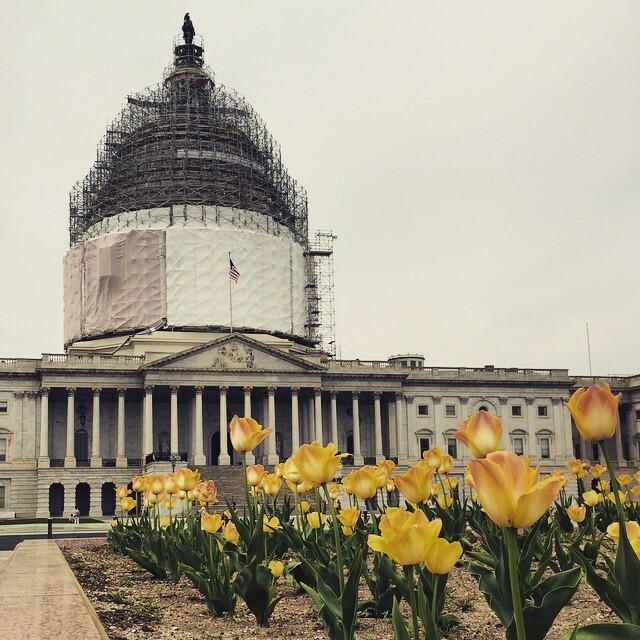 Tulips on the west side of the Capitol. 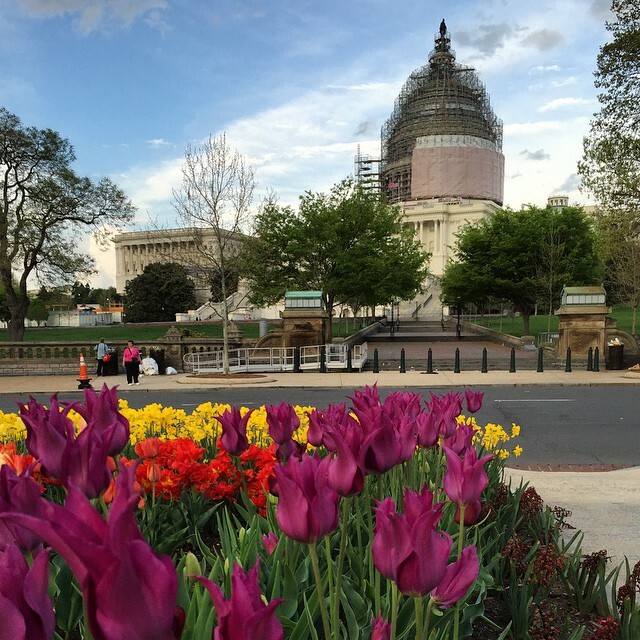 Tulips on the east side of the Capitol. 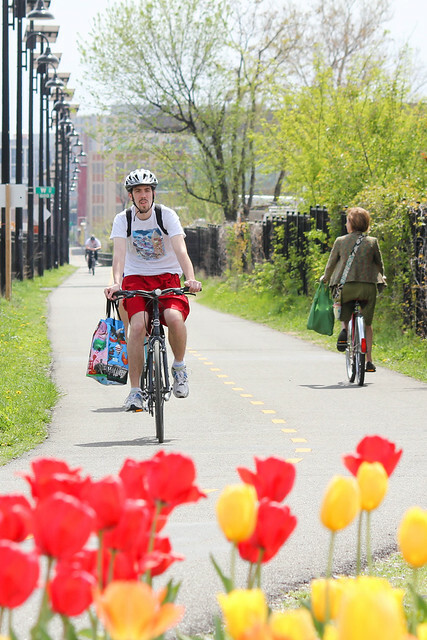 Cyclist returning home along the Metropolitan Branch Trail. 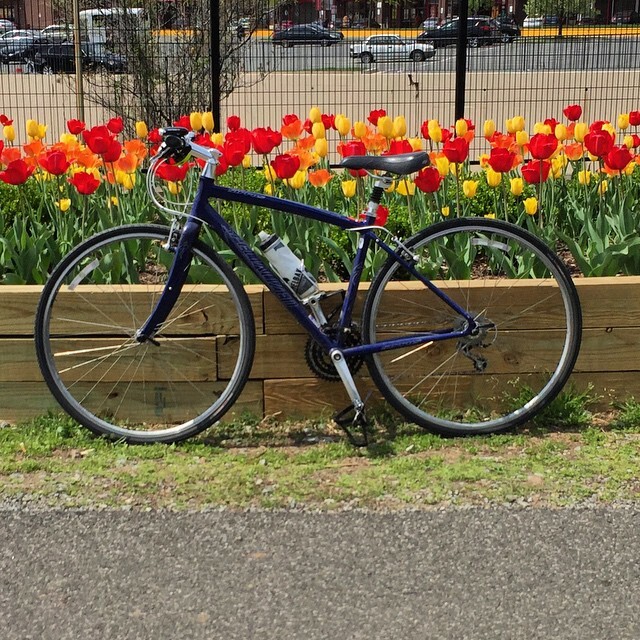 Tulips along the Metropolitan Branch Trail, which runs from Union Station to Catholic University. I’m not the only one taking pictures. That’s my bike, a Specialized Sirrus. 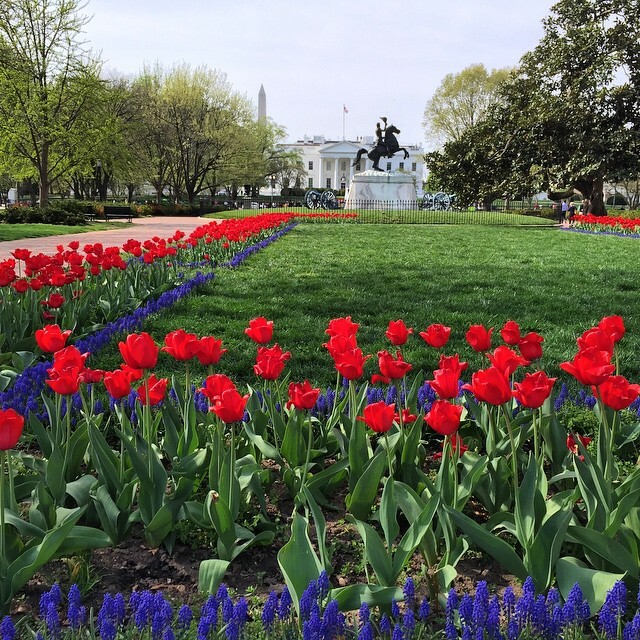 Tulips in Lafayette Park, across from the White House.